The original CFD model was the market maker model. 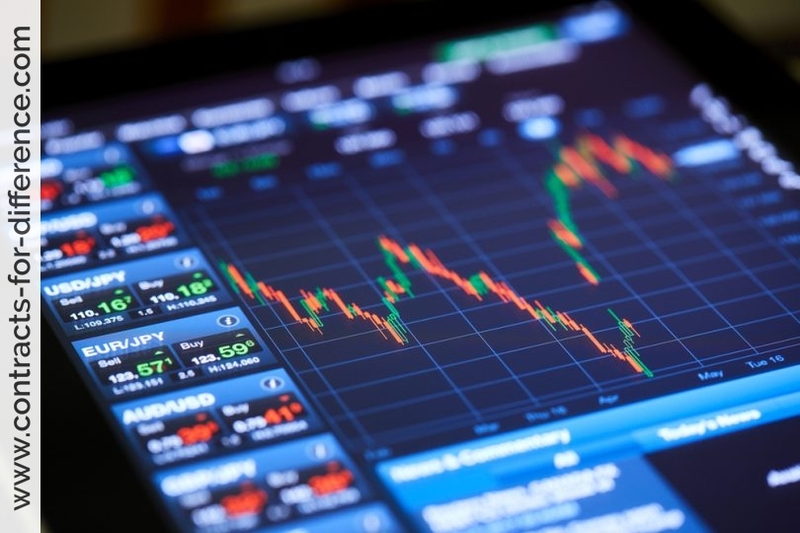 Today, there are generally two types of CFDs. 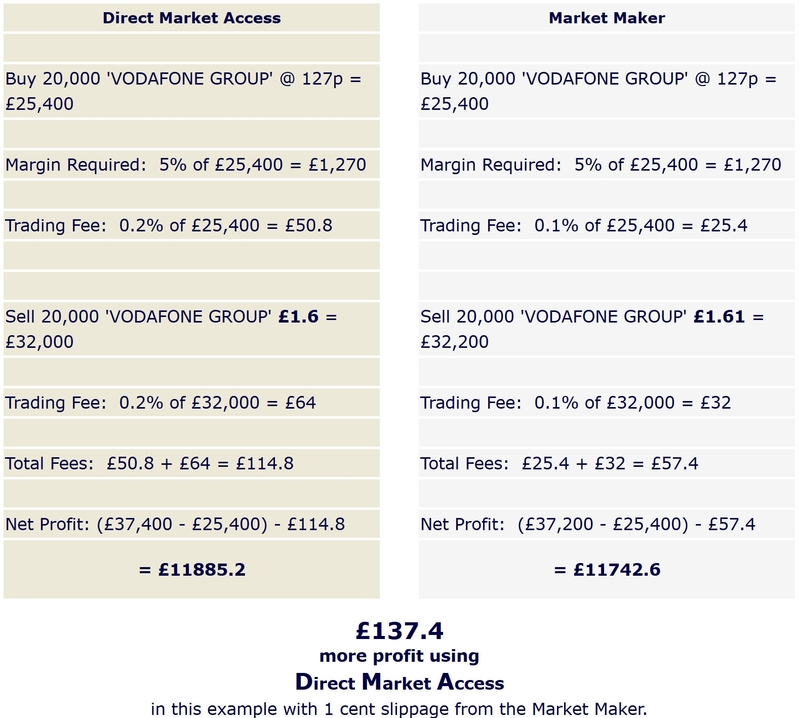 (CFDs offered by a Market Maker and CFDs offered via Direct Market Access with each having its benefits). Ideally, your provider will offer both and serious providers will lay out the commission structure clearly on their website breaking down which parts of a charge represent their commission and which the spread. Direct Market Access, or DMA, allows CFD traders to view and interact with the live order books of global equity exchanges. Historically, only the biggest financial institutions used to be able to benefit from Direct Market Access and Level 2 functionality. But the revolution that started with Big Bang over 20 years ago coupled with the vast improvements in technology that we have seen, mean that this level of detail is now available to retail investors. You can actually change the spread in a DMA – based CFD system with stocks, you become an integral market participant. 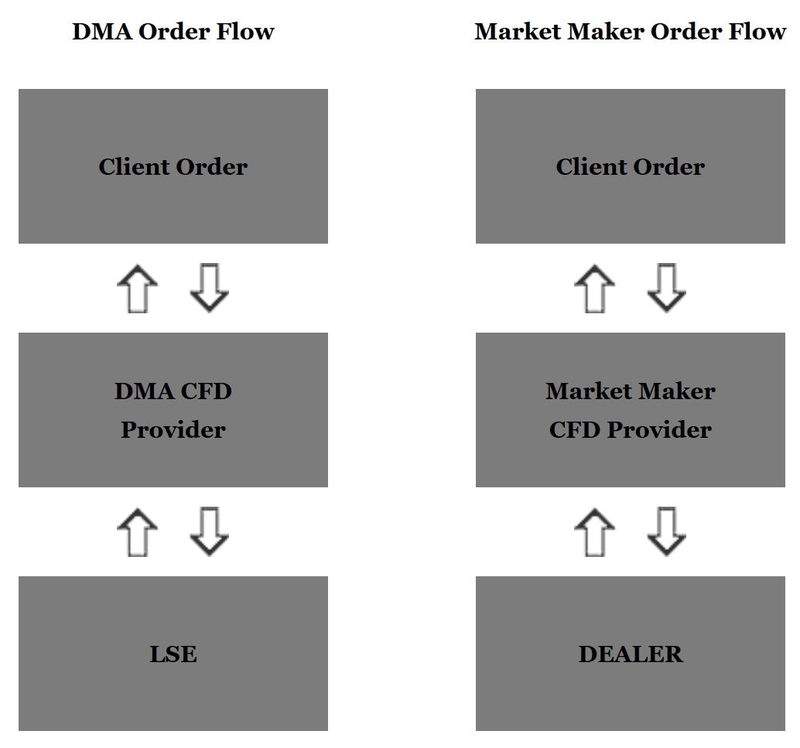 DMA CFDs result in an order being passed directly through to the underlying physical market with no dealer or market maker intervention, resulting in real time execution and true market prices. Once the share is bought or sold, it confirms the CFD trade to the trader. In the DMA model, pricing is identical to that in the underlying market so DMA CFDs provide complete order transparency allowing clients so see their orders being hedged in the underlying market, join a bid or offer queue and participate into the opening and closing match out phases. When trading DMA CFDs you receive all the benefits of trading shares with the additional advantages that CFDs offer. This means that orders are entered directly into the market in exactly the same way as you do through discount brokers with direct access to SEATS. You have the option of hitting the bid/offer, or you can join the buy/sell queue. This has the advantage of potentially getting an entry at a slightly lower price than is possible via a Market Maker. In highly volatile markets you should have the same chance of entry/exit as normal share traders. Of course, this is also dependent on the software platform that you are using. Broadly speaking, there are two versions of the order book. Level 2 is the London Stock Exchange’s most detailed data-feed and what professional traders use. If you want it, you will normally have to pay so make sure that it’s worth your while. One complication is that Level 2 order books work differently, depending on the stock being traded, so you will need to understand the differences. FTSE 100 stocks trade on SETS, small stocks and Aim shares trade on SEAQ – using market makers – and most FTSE 250 stocks trade on SETSmm, a hybrid of SETS and SEAQ. A key advantage of DMA over a market maker driven platform is that it allows you to save on the big offer spread; say Tanfield (TAN.L) was trading at 52-56p instead of buying at the offer of 56 you could place a buy order on the order book at 54p which would then be the best bid in the market leaving it with a good possibility of a better fill (since you would save 2p per share). One of the obstacles to DMA trading is the cost of Level 2 data (the live order book). At present, the LSE charges private investors around £20 a month for the full Level 2 data feed. Note that guaranteed stop-losses are not available with Direct Market Access so you must have the time to watch the markets for hours on end if need be and wait for the right moment. This means that Direct Market Access dealing is best suited for frequent traders (5 times a week or more). It is worth noting that DMA trading is a highly decentralised, as the capacity to view or affect price information is equally available to all. When you place an order on Level 2 you are effectively communicating with the entire group as this appears on everyone’s screens. This is very much in contrast to an Initial Public Offering (IPO) book-build, where investors are provided a single price by centralised authority and invited to purchase shares. Investors within centralised groups have no information about other trader’s purchases or beliefs about fair value. Thereby group behaviour in decentralised networks is more efficient than centralised groups at solving complex problems, such as the fair value of a stock which in turn boosts the pricing efficiency of the market. As centralised groups are not really efficient pricing mechanisms, this would explain the wide price ranges typically experienced on the day of an IPO floatation. Direct Market Providers will usually charge a higher brokerage than for spread providers, but the spread itself may exceed the difference in brokerage. A market maker CFD provider will receive an order from its client and then confirm the CFD trade with the trader. It then has a wide range of options open to them to hedge the underlying position. This includes offsetting orders against other traders, buying shares, buying options, warrants or futures to ensure that it remains in a market-neutral position. 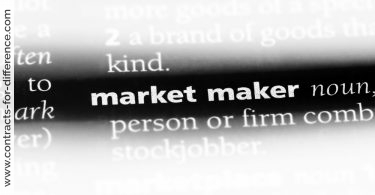 In the market maker model, pricing approximates the underlying market. So Market Maker CFDs are not directly hedged in the underlying physical market; instead it remains the discretion of a dealer or market marker as to whether they hedge a CFD position in the underlying market. As it is up to the discretion of the Market Maker as to whether CFD positions are hedged the provider can be exposed to a significant amount of market risk. This model results in slow order execution and lacks transparency as individual client hedge orders are not directly entered into the physical market. The queuing system is at the discretion of the CFD provider. Furthermore, Market Maker CFD providers are unable to provide partial fills, and will typically only fill client orders once the bid price reaches the offer price or offer price meets the bid price which means that you may be forced to pay a higher price when purchasing or a receive a lower price when selling. The CFD provider controls the price that is offered. This price and depth usually mirrors the underlying market, but this is not guaranteed. Market Makers add an additional layer into the dealing process which could result in orders not being processed due to the Market Maker process in highly volatile markets. My understanding is that that to buy there must be stock offered, and to sell there must be stock bid. In other words you must sell at the bid, and buy at the offer. You can not take part in the open and close auctions on the London Stock Exchange. Let’s briefly explain the two models that have been adopted by CFD providers. Transparency: see the market depth for every stock and the levels at which other participants are willing to trade. Deal inside the market spread: Leave orders inside the current best bid and offer where available. Increased order functionality: employ ‘Fill or Kill’ and ‘Execute and Eliminate’ instructions alongside Limit and Market orders. 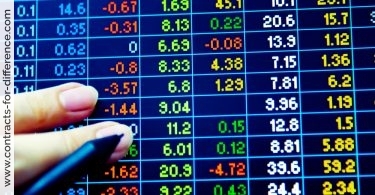 Wider range of markets: A limitation on DMA trading is that you can only deal in shares. If you want to trade an index market, for instance, this is not possible with a DMA broker. DMA providers do not usually have a wide range of products either. Because of this, DMA brokers may find it difficult to compete with the much wider range of markets that market makers can offer. Direct market access CFD orders flow immediately onto the underlying exchange. The CFD provider typically lays-off risk by taking the same position in the physical market. DMA CFD traders can be a price takers or makers and take part in the market depth on the exchange. DMA places the order into the market so orders are filled at the volumes available at each price level in the physical market and part fills are possible. Market Made CFDs are usually offered over a bigger choice of commodities, forex pairs, stocks and indices (DMA is only possible for stocks). The CFD provider may set their own bid/offer prices for CFDs and may alter the volumes. Market Maker CFD traders do not receive the same identical prices as those quoted on the exchange. Spreads are often widened and orders re-quoted. Positions are frequently NOT laid-off in the market but are traded against the client. Some Market Makers profit from the performance of their clients positions. Market Makers are price takers not price makers, this means MM CFD traders cannot take part in the underlying order book. No participation in the open & close auctions. Model is based on an all or nothing basis. Where volumes in the physical market are insufficient to fill an order for a client, that client is offered a requote for the entire volume – often at a ‘worse’ price. Let’s consider what would happen if one of these Market Makers gave you a fill on a trade that was just 1 pence (£0.01) worse than that available in the physical (and therefore DMA) market, whether it be due to slippage or a requote. Often, this small amount of slippage would be tolerated by clients but the truth is it will often completely erode any benefit the trader may gain by saving a few pence on up-front brokerage. How common are slippage and price requotes? Obviously it varies, but it is not at all uncommon for those using the Market Maker model to be given a requote with only seconds to decide whether or not to accept the requote before it expires and a new requote must be requested. This is considered a normal part of trading for those using platforms based on the Market Maker model. The model used by your CFD provider is also important when it comes to the execution of stop loss orders. The Market Maker model will usually involve a dealer (working for the Market Maker) choosing the price at which your entire stop loss order will be filled. If your position was not laid-off in the market by the Market Maker it will be in their interests to give you a less than optimal fill. Using the Direct Market Access model, your stop loss will be filled at the best available price once the stop has been triggered. This may result in slippage but this risk can be overcome through the use of Guaranteed Stop Loss Orders (which are unavailable under the direct market access model). In any case it would be prudent if dealing with a market maker to include the risk of misuse in your personal risk management profile, by having a backup if something goes entirely wrong. This includes for example, being able to hedge your position at some other CFD broker. Also applying trading disciplines as, restrain from yourself trading when the risk is increased, such as during important news releases. Some CFD platforms offer the DMA (direct market access) model (Macquarie Bank, SaxoBank and IG Markets are three I can think. In the DMA model the buy/sell is the current market price, and all contracts are fully hedged in the market. If you place your order for 1000 National Australian Bank shares you can see your order in the market depth, there is no spread, rather a % commission is charged, and interest is charged/credited daily on the total position. So in the DMA model the CFD provider makes their profit on commission and interest, not on whether the trade moves against you or not. Mind you there are a few little tricks e.g. the provider charges interest on the full value of the position at the end of each day (as opposed to the amount of credit), calculated daily. IG rates are currently RBA + 2.5%/360….yes for some reason they think there are only 360 days in the year!!!!! The amount of deposit required varies depending on the stock and the provider, typically it is between 5% and 20% I believe. Guaranteed stop losses are offered by some providers at a premium on the commission, the % charged depends on their take of the stocks volatility. When does gambling become investing?? When does an investment become a gamble?? To me the DMA model is no more or no less a gamble than other leveraged derivatives such as warrants, options, margin lending, or futures contracts. The gamble is in each individual traders psychology, trade management, risk tolerance, discipline, and stock selection. The leverage just magnifies your success/failure.